Gloucester VA Links and News: America Is Waking Up….... Now is the time for "We The People" to take action. America Is Waking Up….... Now is the time for "We The People" to take action. Freedom; a word that is the foundation of a republic founded by our forefathers over 230 years ago and while the United States is not the only country in the world with freedom we as Americans celebrate and cherish this privilege every day and sorrowfully a lot of people overlook the freedom that we have. 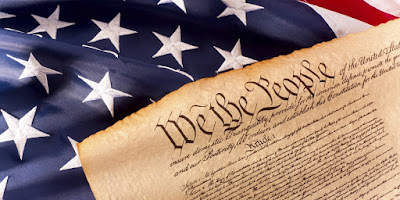 Along with freedom also comes the word respect because our republic’s constitution was written on compromise and respect. Over the years we had our battles within our country regarding tyranny, slavery, racial and civil rights and these disagreements were bloody and long, but we worked through the issues only after thousands of people died fighting for what they thought was right. Whether the tyranny of King George or the tyranny of the northern armies during the War Between the States, people died fighting for a cause, unity and respect and while minorities such as the Irish, the Asians or the Africans were not treated fairly for many years they have taken steps forward in equality. In the past 10 – 15 years a new battle has reappeared to the front stage of our country and the world. We are fighting another war not with guns and close combat (yet) but in the political arena of county, state and federal governments. Republicans and Democrats are at odds at all levels of government spending the people’s money and making decisions that are not in the best interest of the people, the same people that these politicians are supposed to be working for and representing. People are protesting in the chambers of congress and the senate and in some cases these protests are violent and the appalling matter that disturbs me is the amount of lies being fabricated to justify the agenda of their political party. Totally sickening that we as a respected people on the world stage that our elected officials have stooped to such low levels, demonstrating how corrupt we as a nation have become and we as the people are allowing this to happen. Today we argue about our President and while the Democrats deny his election they must recognize that he is our President. Our elected officials are charged with making decisions for the good of the people and not for the good of the vote or their political career. While due diligence must be exercised when confirming appointed positions, the people demand that the Constitution drafted and adopted by our forefathers, be followed and not used as a guideline. We the people deserve better and we the people demand that people start acting responsibly and while just saying this is not going to make it happen we the people must demand equal and fair treatment under the law and we need to make a statement to the governing body that treason, perjury and intentional defamation will not be tolerated and needs to be punished to the fullest extent of the law, setting an example that these activities will no longer be tolerated by the people. In November mid-term election are going to take place and a swing of power could take place and while I am not suggesting or endorsing any one particular party or position, but I encourage everyone reading this to research the candidates and their platforms. America is waking up to all the corruption and scandals in Washington, Richmond and Gloucester. We the People need to stand together and forget white, black and racial differences because if they divide us as a people they have conquered us as a people, we will lose our rights, freedom and respect, not only on the world stage but with each other. It is time for America to wake up the sleeping beast that we are and strengthen our country, state and county. It is time for America to wake up, are you ready?